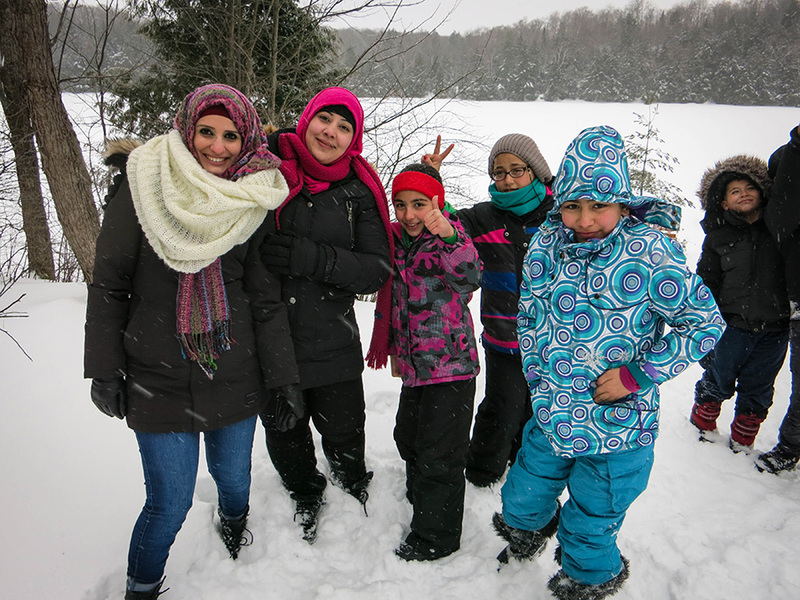 (April 6, 2016) Last month we had the privilege of taking 50 Syrian refugees from Toronto for a day of winter fun in Arrowhead Provincial Park. 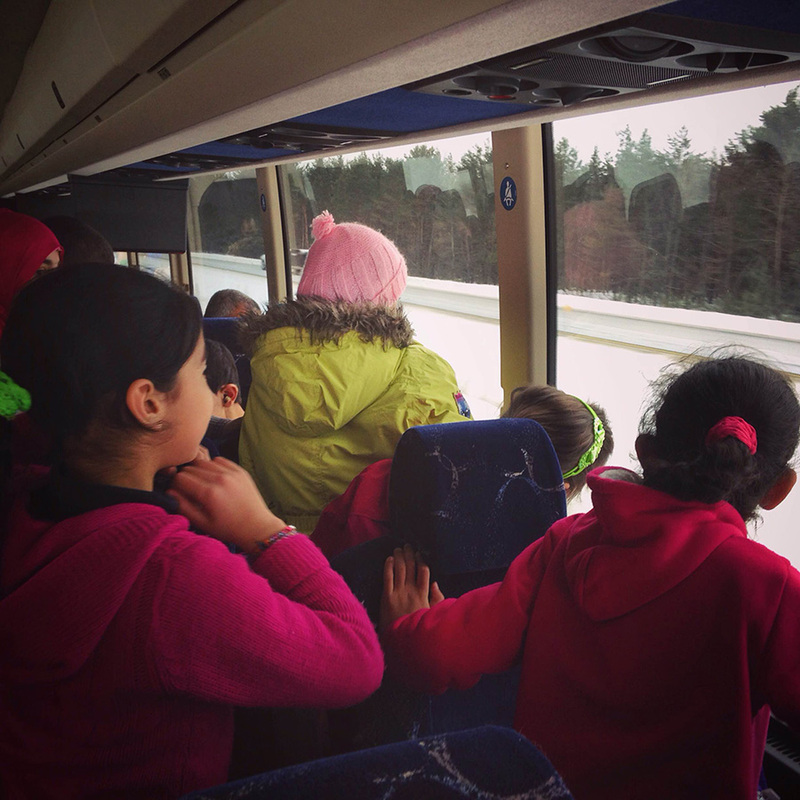 The trip was organized by Julia Bitan, who brought together CultureLink, COSTI, Overhang Adventures, Ontario Parks, MEC and SRS Huntsville to make this trip happen. Here is the story of how the day unfolded. 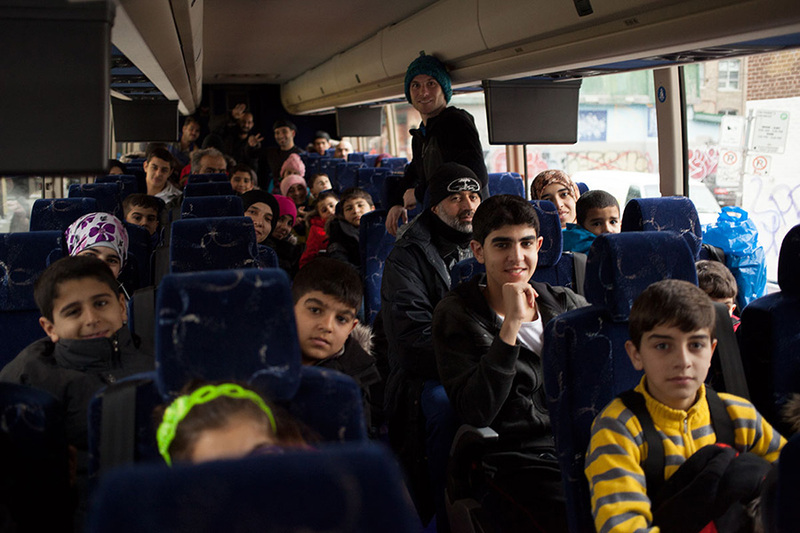 Parkbus picked up the families in downtown Toronto in the morning, as well as several translators and volunteers. 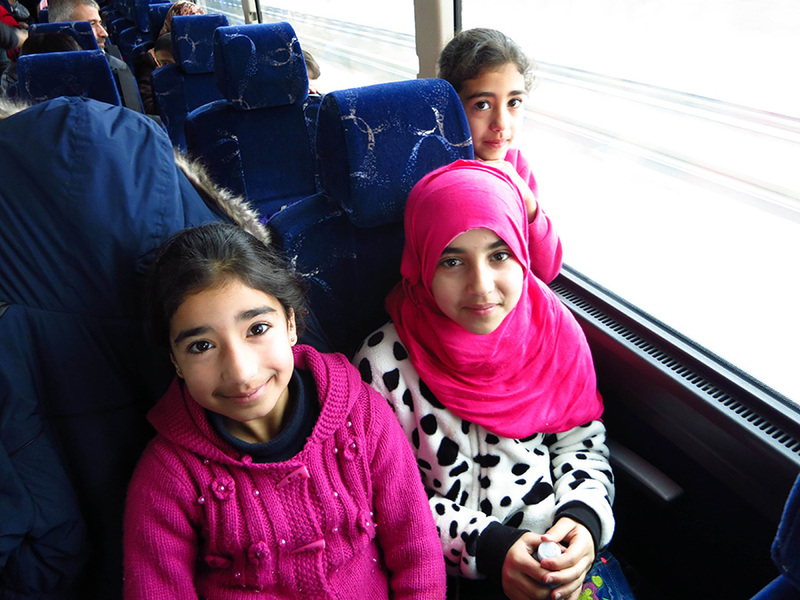 For trip participants, this was the first time out of Toronto since arriving to Canada. 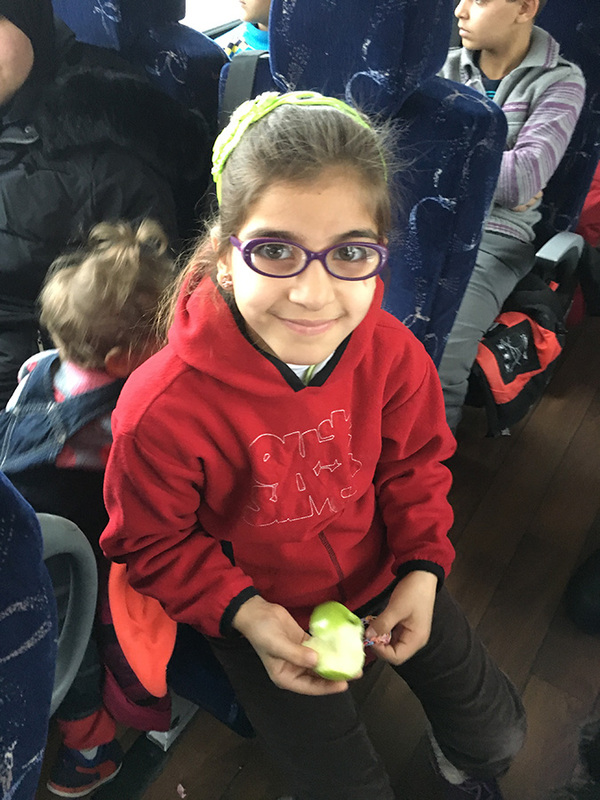 Meet 7 year old Mona, originally from Aleppo. First time seeing snow! 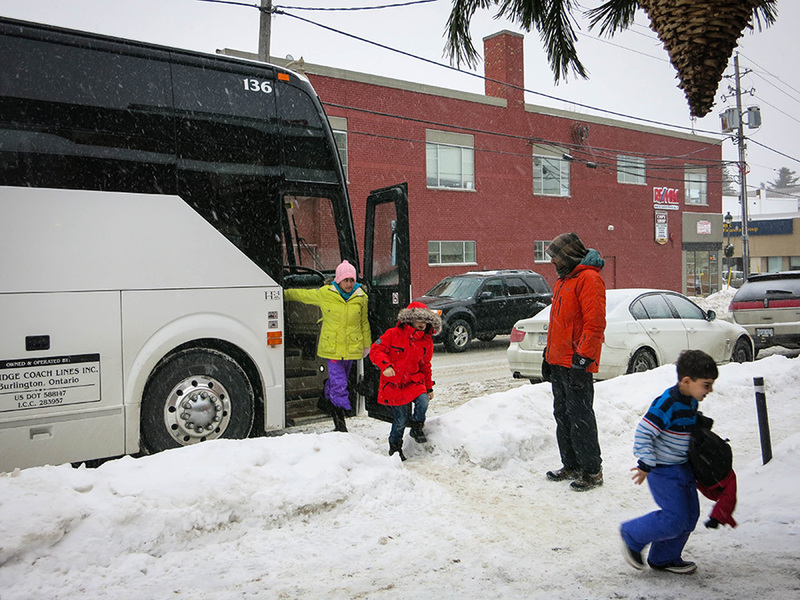 As the bus left snowless Toronto, white stuff began to appear on the second hour of the journey. 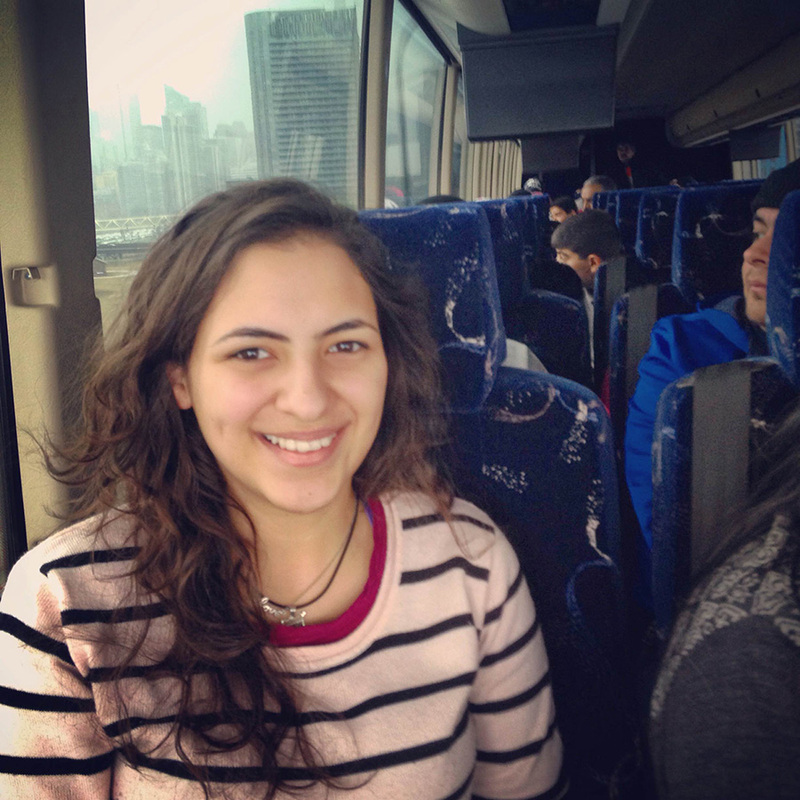 Meet Carine, 19-year old volunteer from Syria. 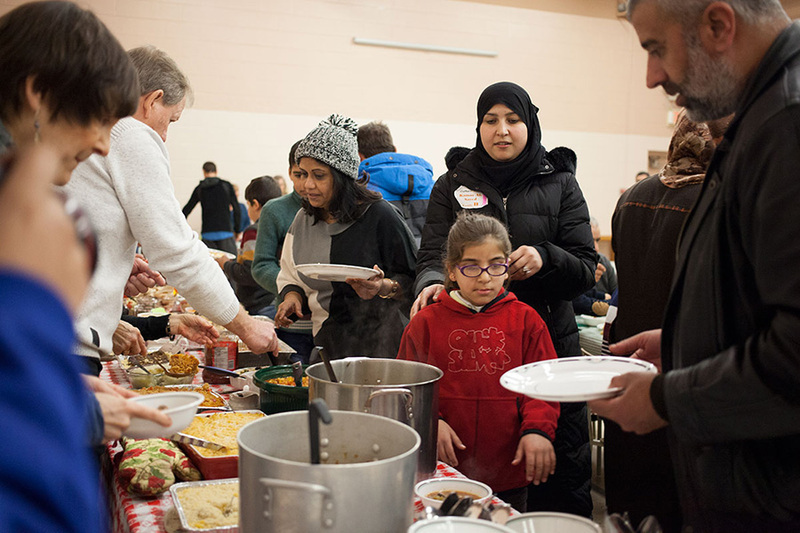 She spent 2 years living in Lebanon, before reaching Canada in December. Her leadership and English language skills were invaluable on this trip. Stepping off the bus after a 2 hour journey to Arrowhead. Snow everywhere looked intimidating at first. ...but it did not take long before the kids knew what to do. 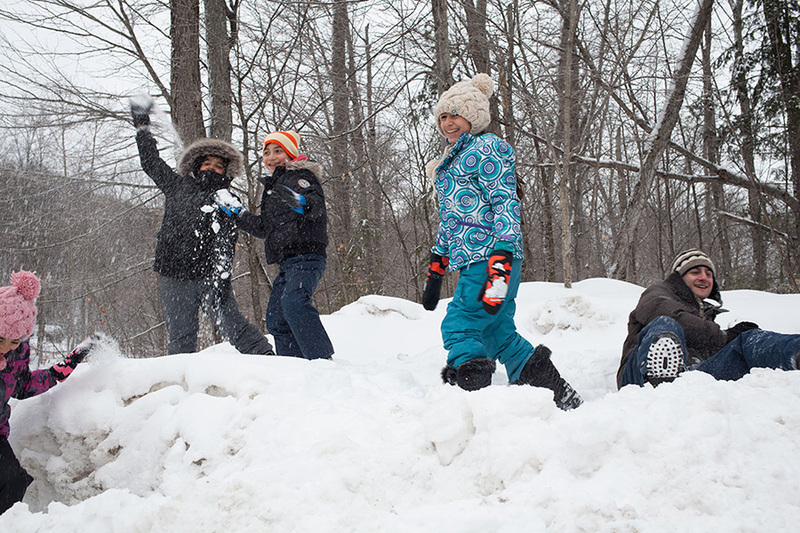 Discovering snow can be fun! 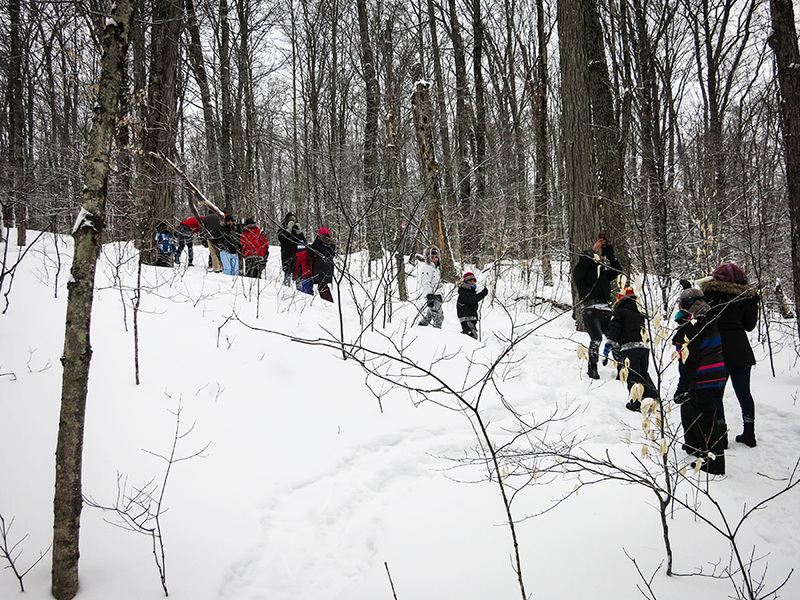 Before long the group split up, and the most adventurous wandered off into the woods. 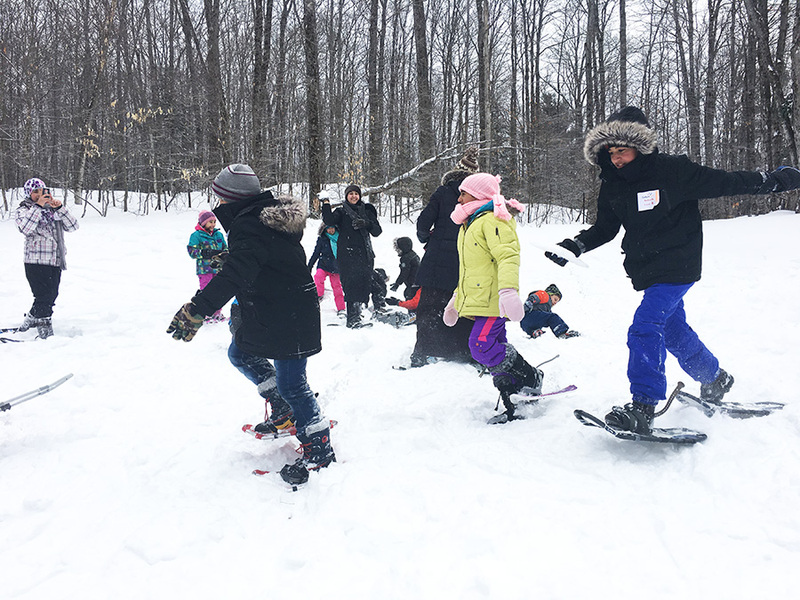 Arrowhead generously provided snowshoes for those wanting to try. 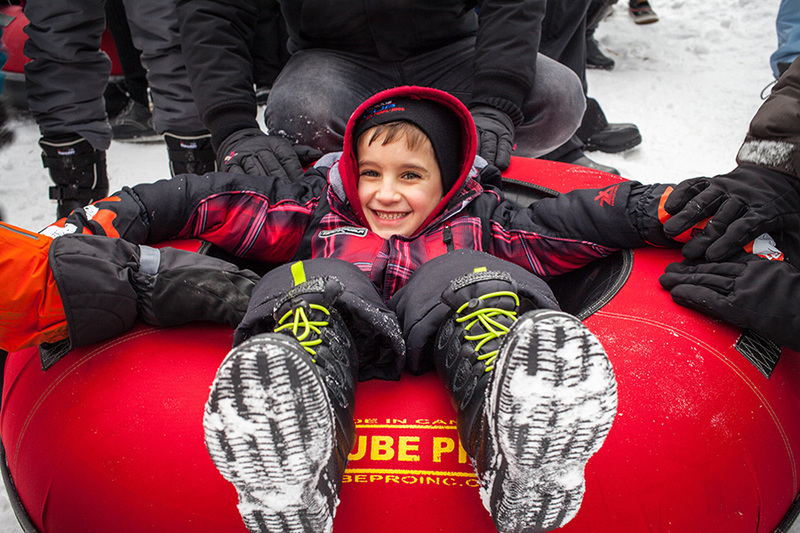 The Superintendent of Arrowhead, Peter Briand (on the left), came out to greet the participants and help send them off on their first tubing experience. 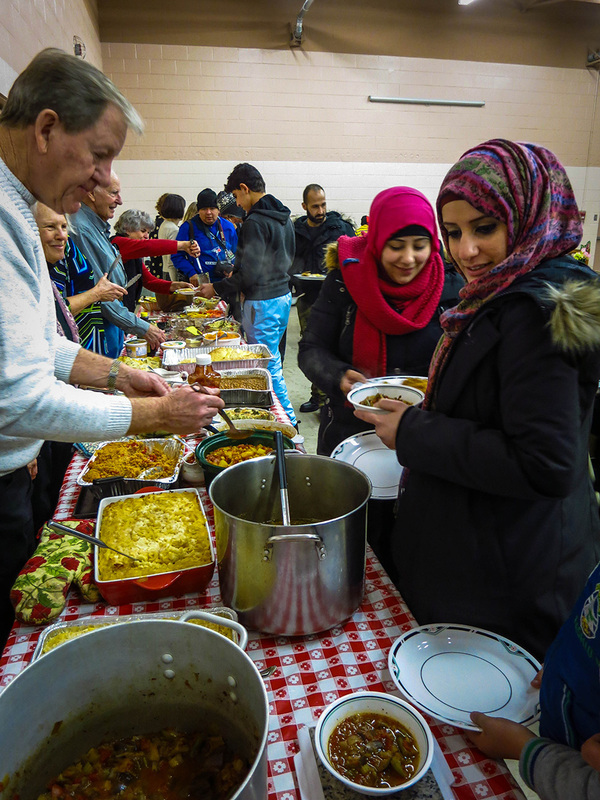 ... where the local community welcomed the refugees with a dinner. 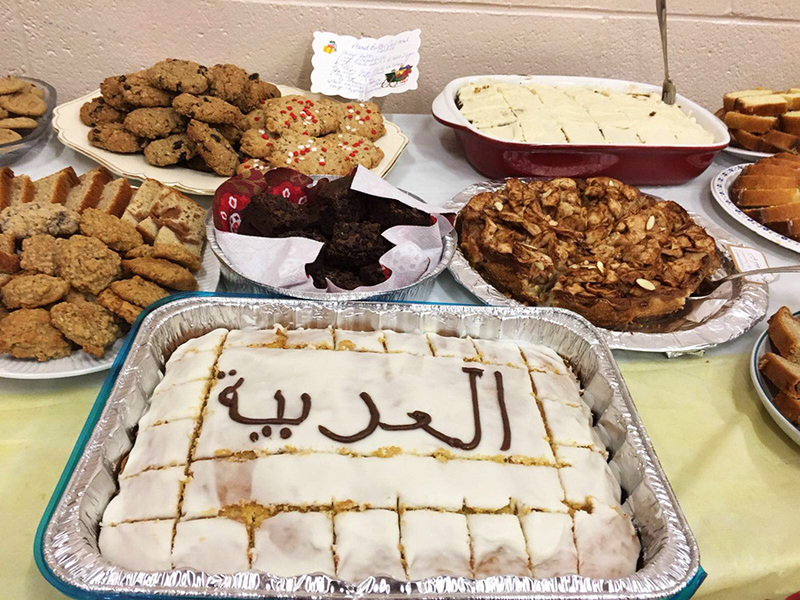 The food was an incredible selection of vegetarian dishes, prepared over the course of 2 days by a dedicated team from Syrian Refugee Sponsorship Huntsville volunteers. 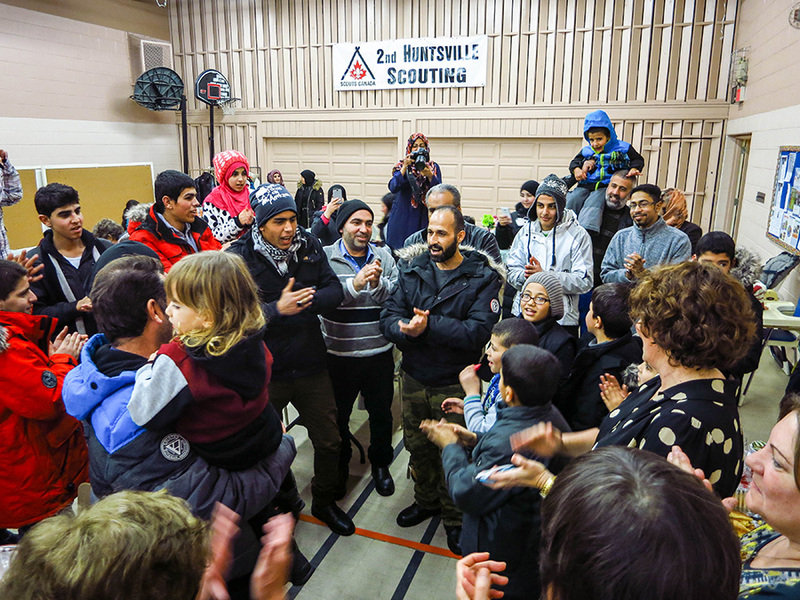 At the end of the day, trip participants got together for a thank you song for the Huntsville community, volunteers and everyone else involved in the trip. One family was so impressed, they approached the organizers inquiring about resettling to Huntsville! 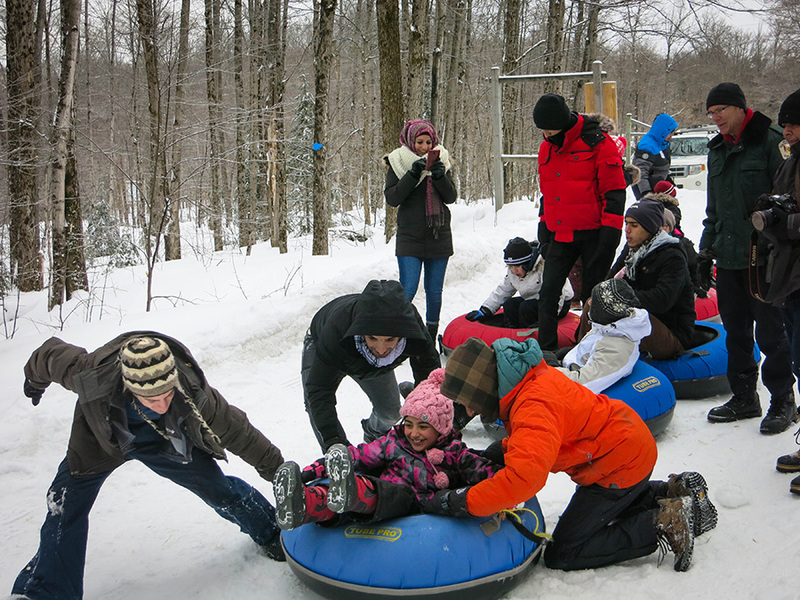 Staff from Toronto-based Overhang Adventures with participating family. Overhang Adventures provided guides and first aid backup for the trip, and made the day fun for the participants. 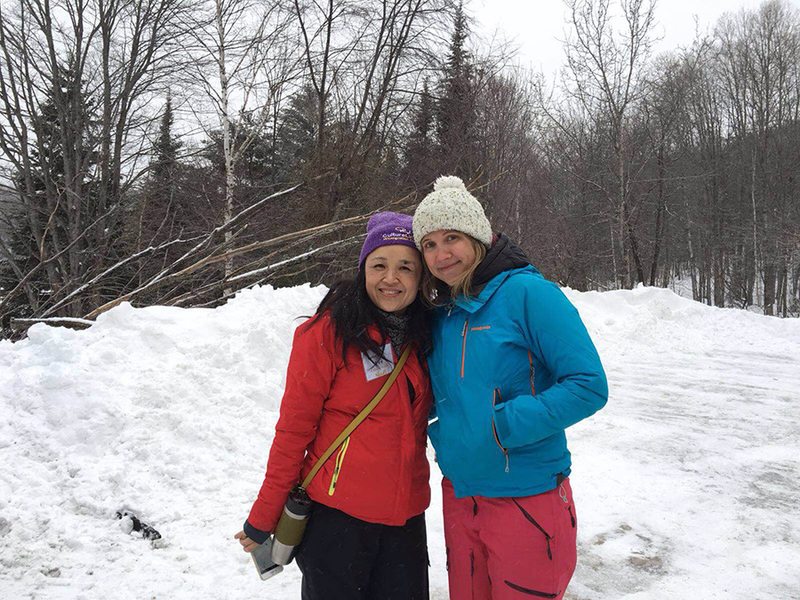 Julia (on the right) came up with this trip idea by first partnering with Fei (on the left) from CultureLink. 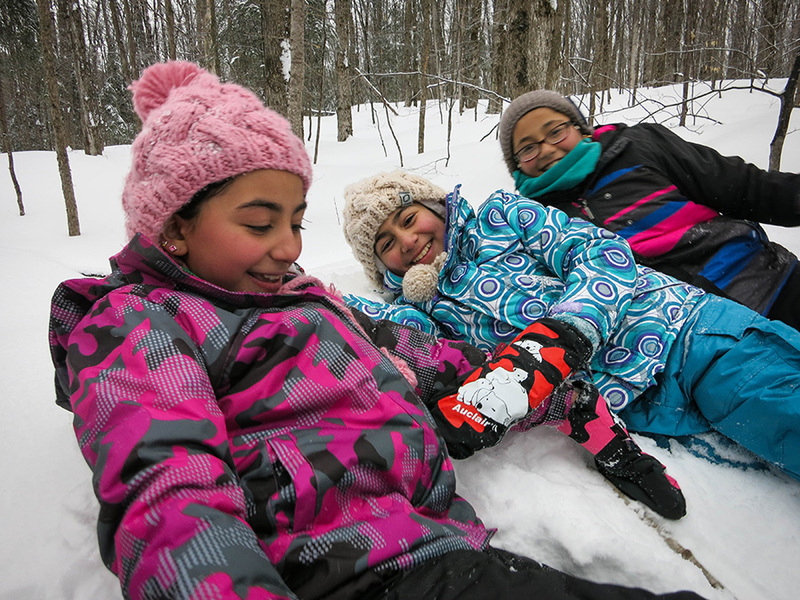 Outdoors is Julia's passion, and she shared it with hundreds of people since coming to Canada from Israel 15 years ago. 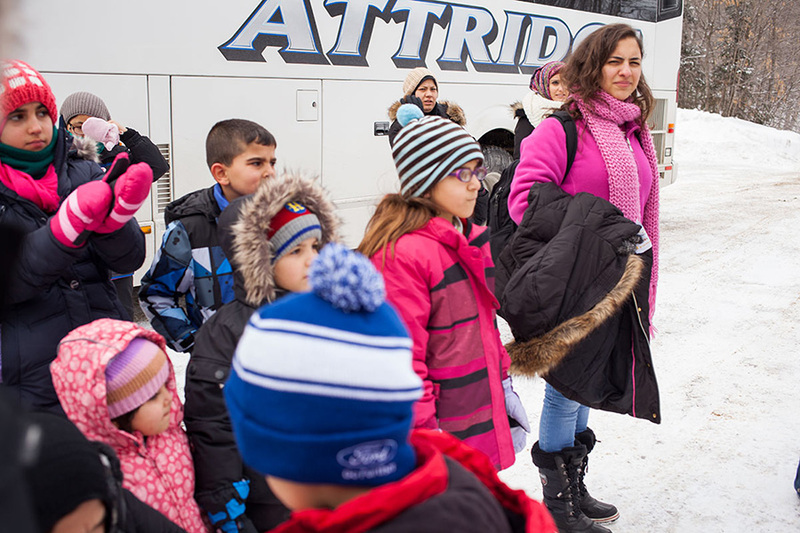 She is working on organizing more trips for newcomers to our great country, and is volunteering as a Parkbus Ambassador in her spare time.